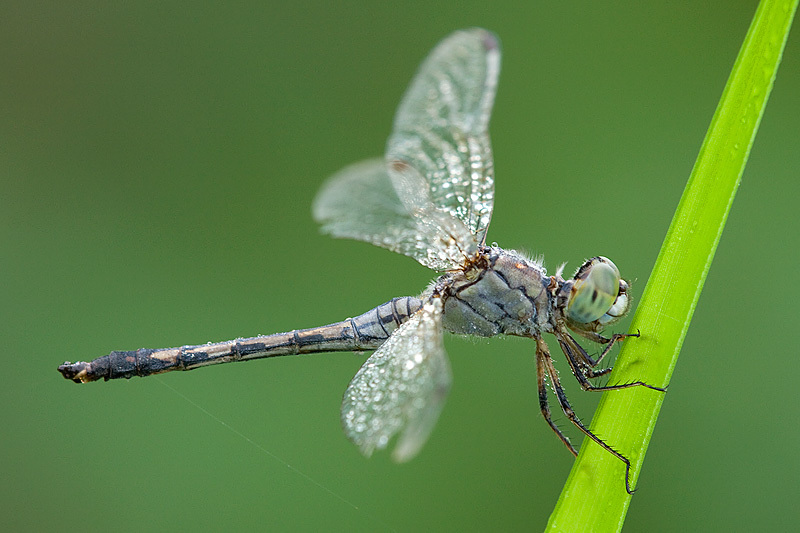 This is a relatively small-sized dragonfly that usually prefers to perch lowly on grass. 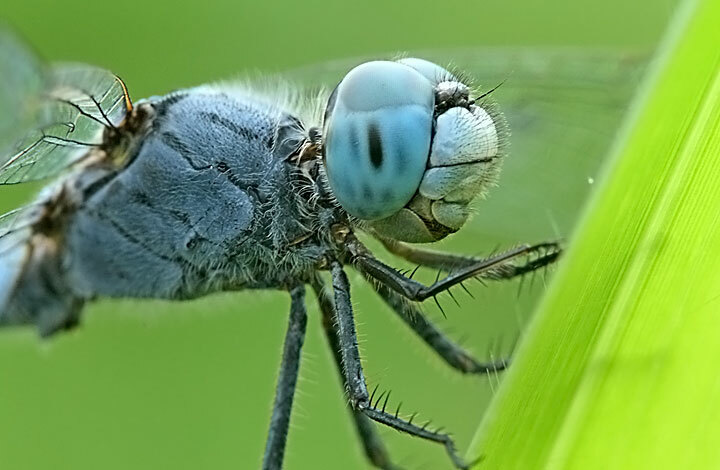 The male has beautiful blue eyes, a blue-grey body with black on the tail. 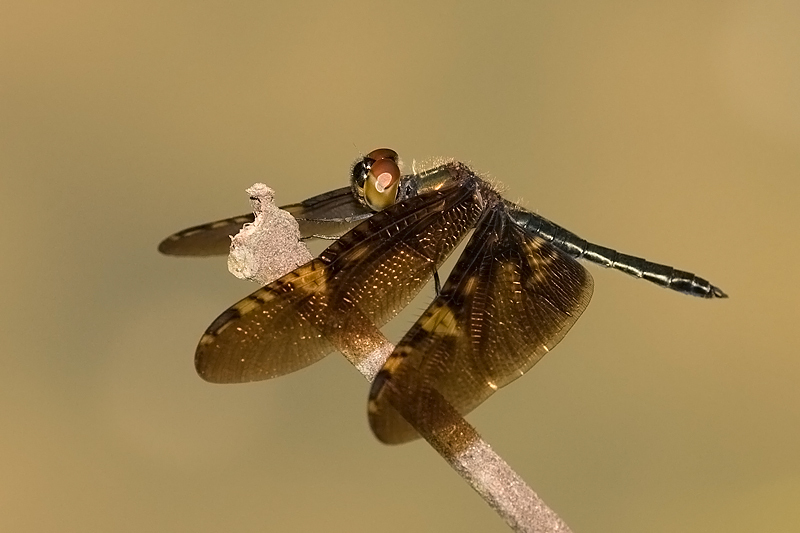 The female has green eyes, greenish body and black markings on its tail. They are quite skittish in the day or late morning. Best time to shoot them is early in the morning while they are probably still sleeping. 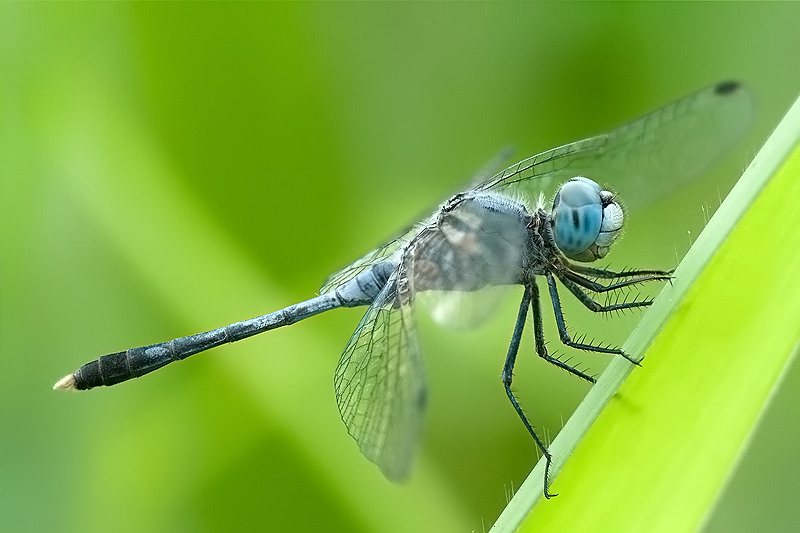 My first sighting of this dragonfly species was at Bukit Timah Bicycle Trail. I did not get any shots as it was flying non-stop. 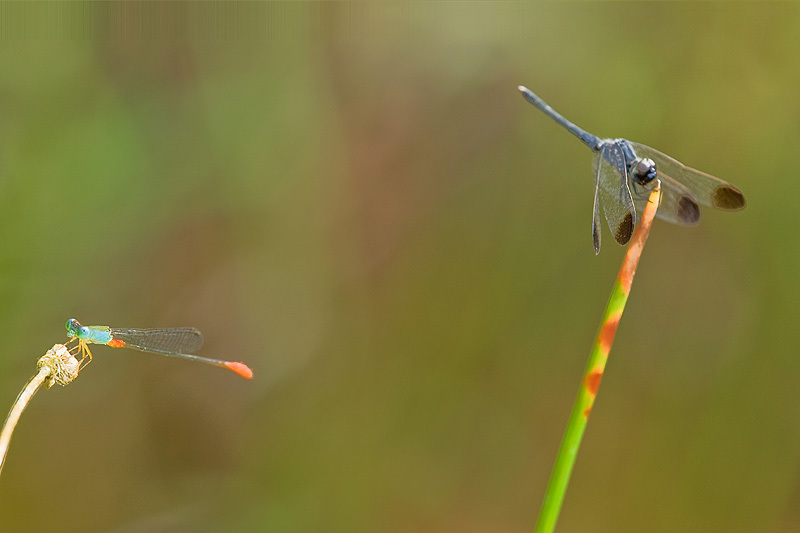 I thought, at that time, that it was a huge Neurothemis as they share similar colour and pattern. 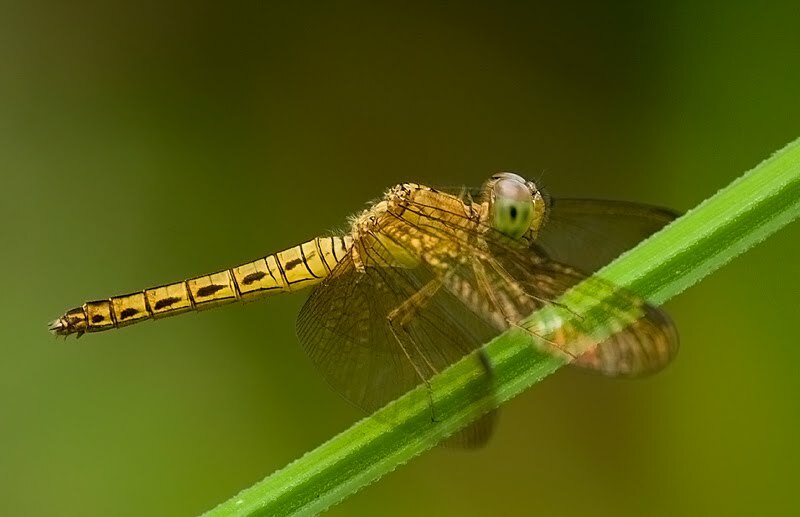 The size of this species is almost double that of Neurothemis. I spotted it again but this time at Chestnut Ave Bicycle Trail and managed some record shots. 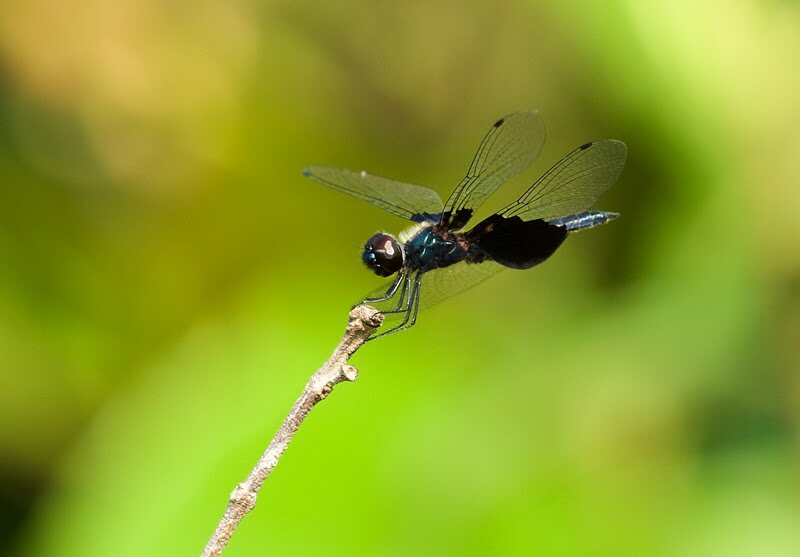 Rhyothemis Triangularis is an unmistakable species. 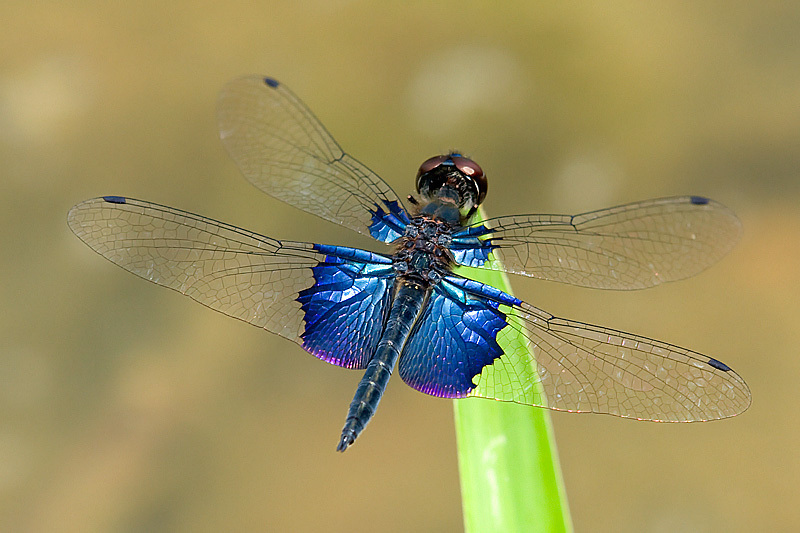 The male has distinct dark metallic blue colour on its wings. 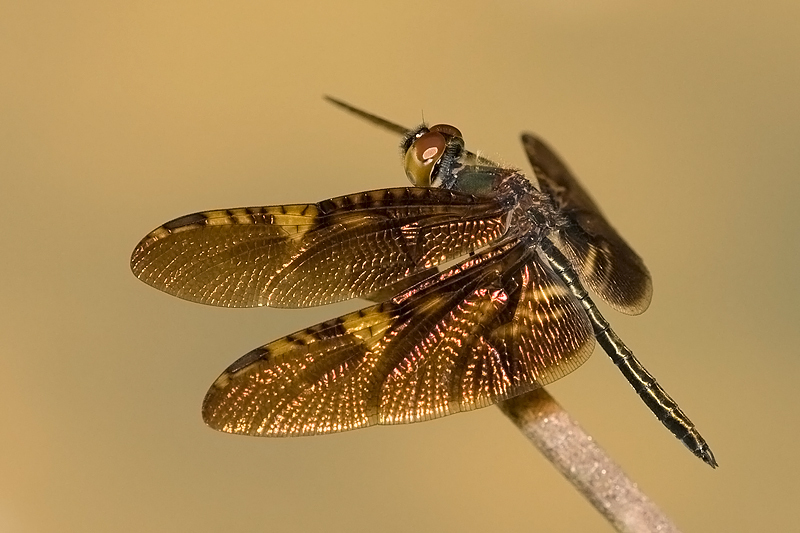 Female is similar to the male but the base of its wings are darker. This uncommon male species was first sighted at Venus Drive but I gave it a miss as I had not started collecting Odonata at that time. My 2nd sighting was at Chestnut Ave. I only managed a few record shots before it flew away. My 3rd sighting was at Eng Neo Ave but unfortunately, I still did not get nice images of it. I have yet to meet the female. 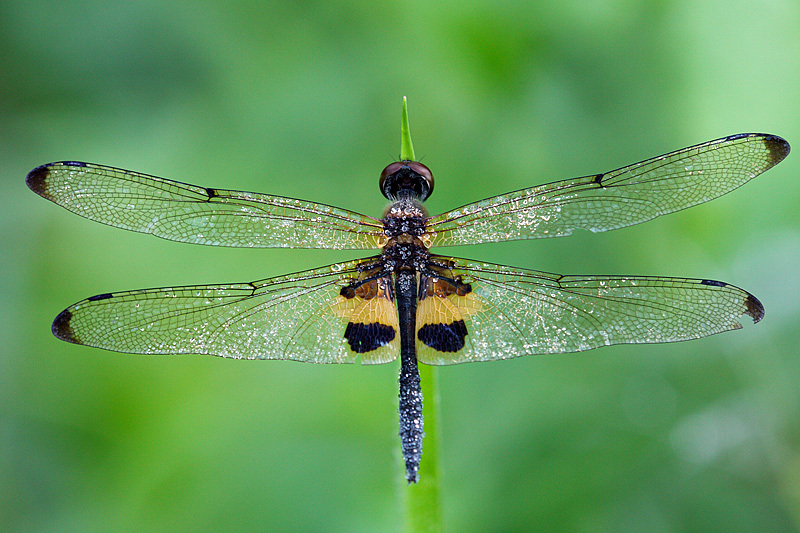 In my opinion, it is best to take from a dorsal view to show its beautiful wings. I shall do that next time. 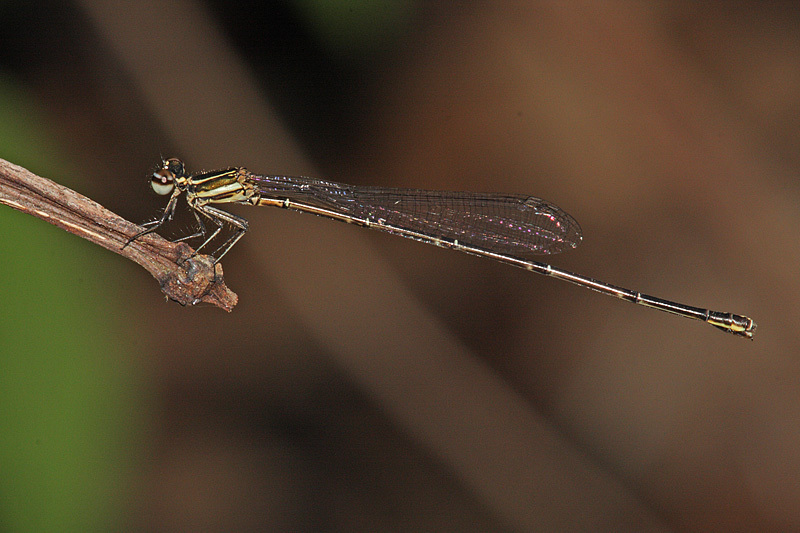 My 4th sighting of this species was at Jurong Woods II. Unfortunately, it was too sensitive to me and I could not get close to it. I was bitten by a water leeches while chasing for it! 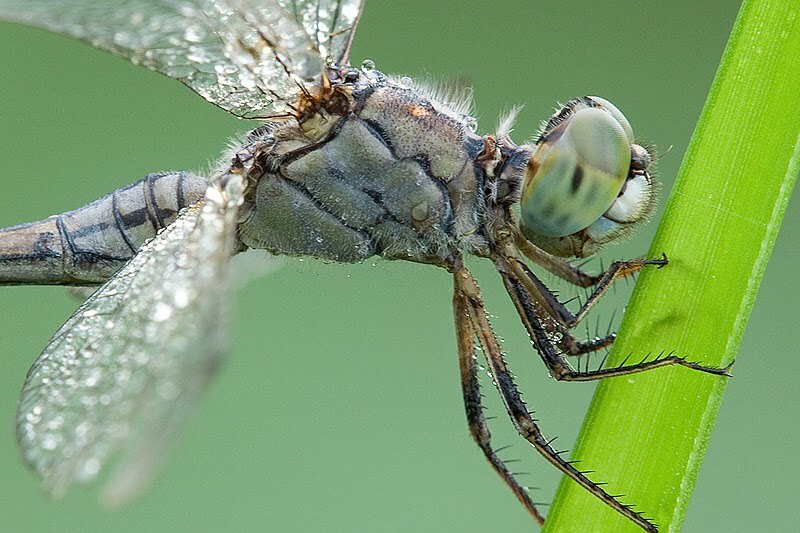 My 5th meeting was at Lornie Trail on 25 Aug 2010 and this time I managed to set a reasonable dorsal view showing the beautiful wings of this dragonfly. 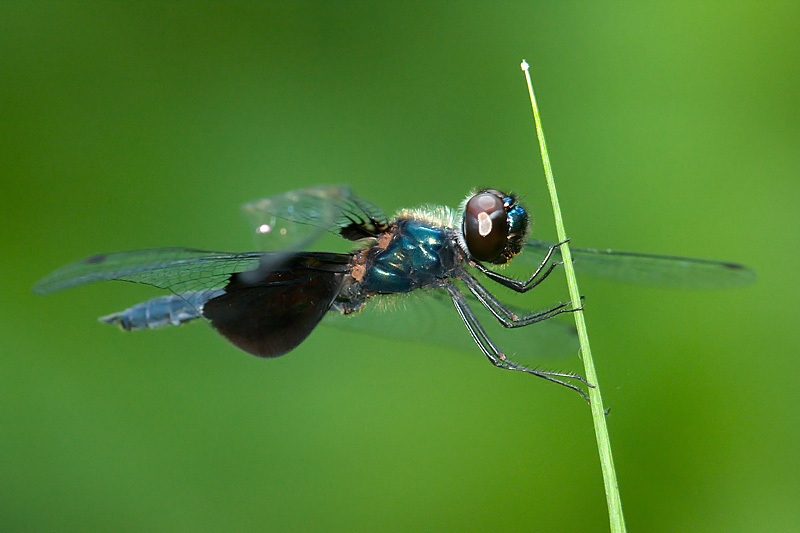 This is a small-sized dragonfly species and I have only seen it once at Chestnue Avenue. 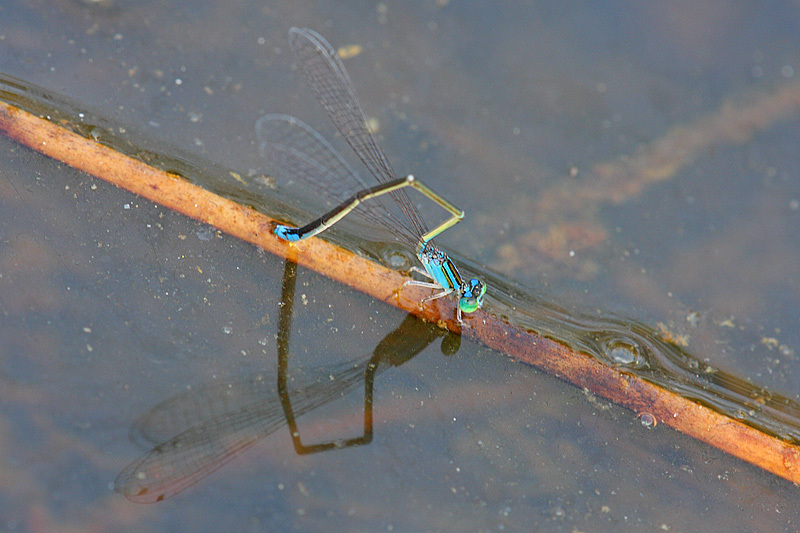 The male is dark blue in colour with small dark patch at the tip of its wings. 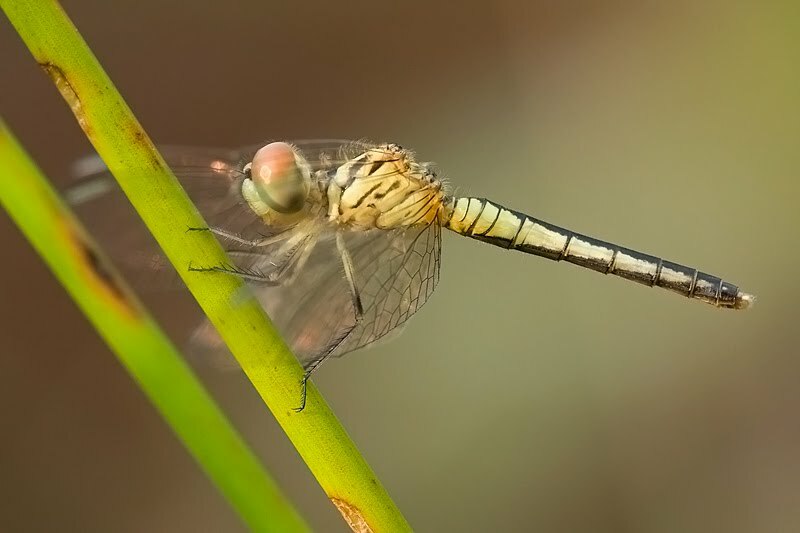 The female has light yellowish in colour, quite different from the male. 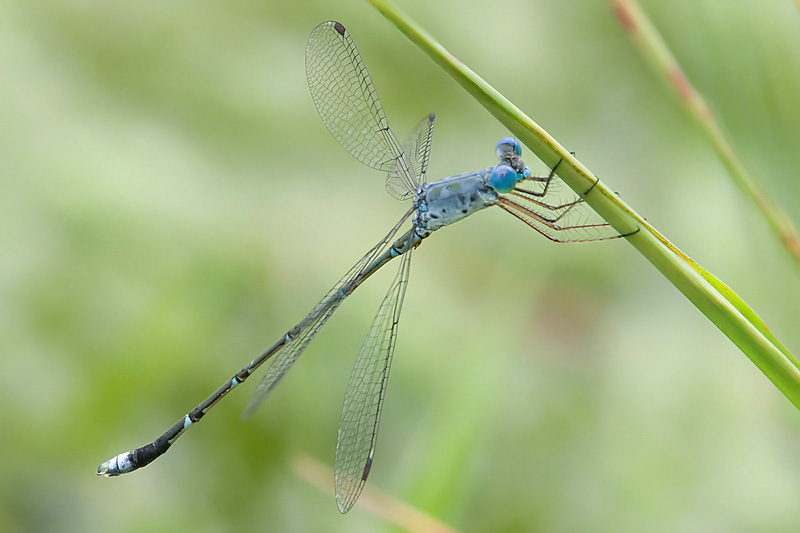 I went to Chestnut Ave to search for the unique Lestes Praemorsus Decipiens on 1 Aug 2009. I did not find it but I saw this very rare species instead. I did not know that it was very rare at that time and therefore I did not make an effort to get some good shots. Sadly, this place is destroyed and is under redevelopment for a condomium. 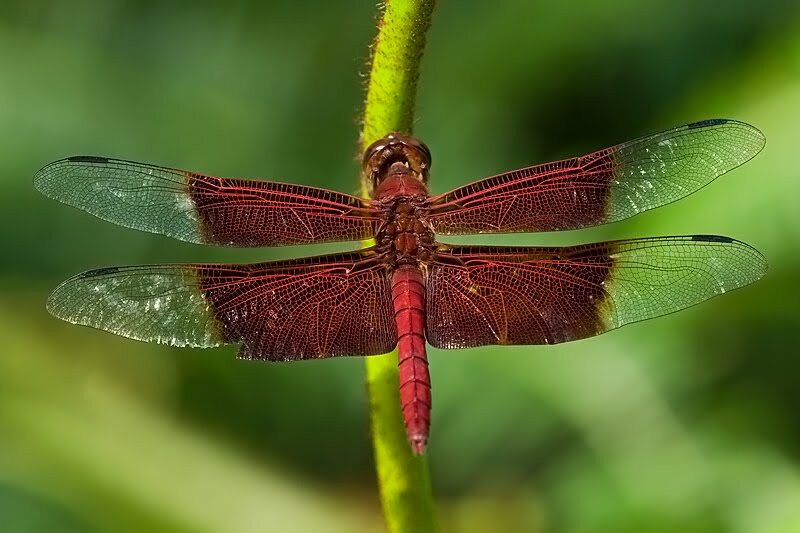 I wonder whether this species can still be found in Singapore. 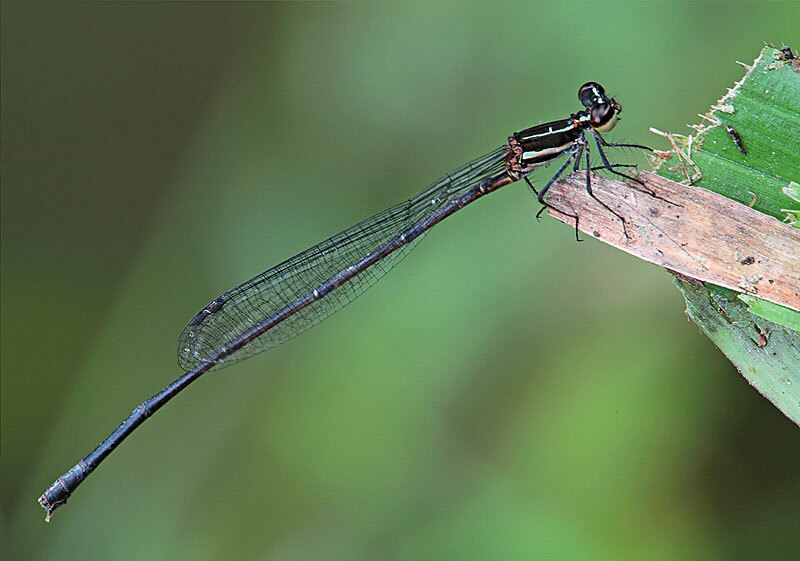 Lestes Praemorsus is an uncommon species, first recorded in Singapore in 1997. 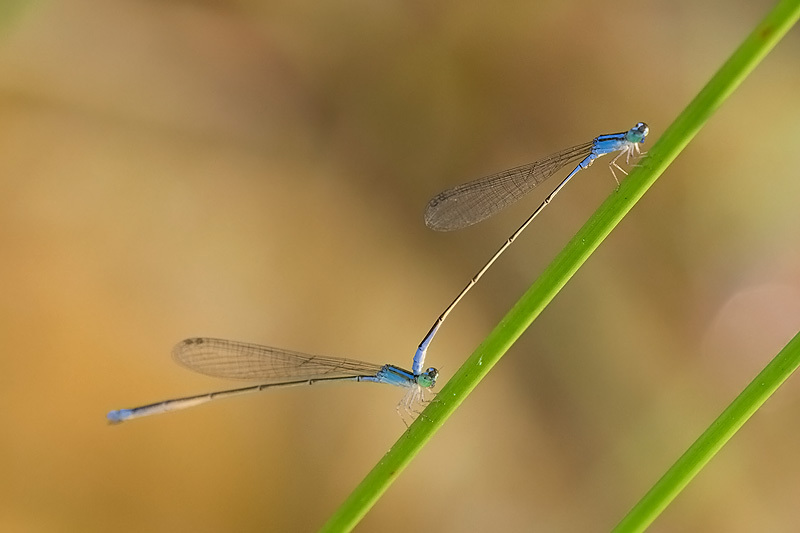 It is known to be occured only in Macrichite Reservior. 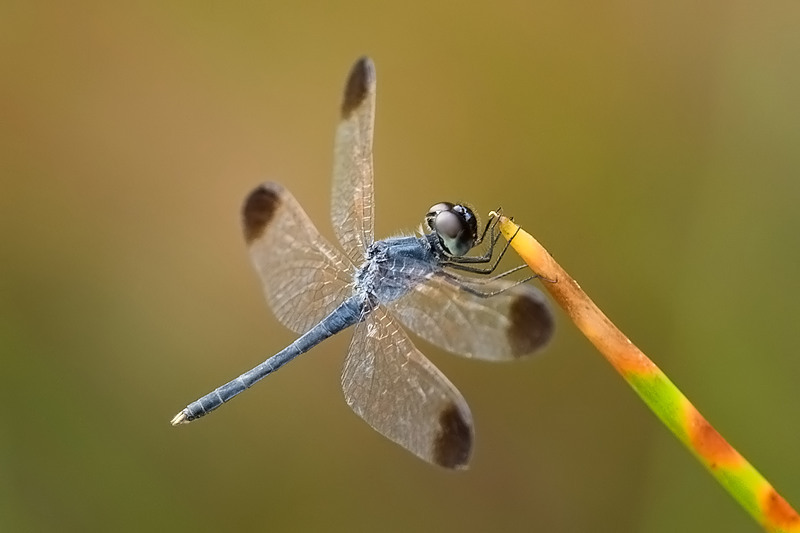 It is a medium-sized species which rests with its wings half-open. It has a unique hockey stick-shaped rather than straight obdomen. 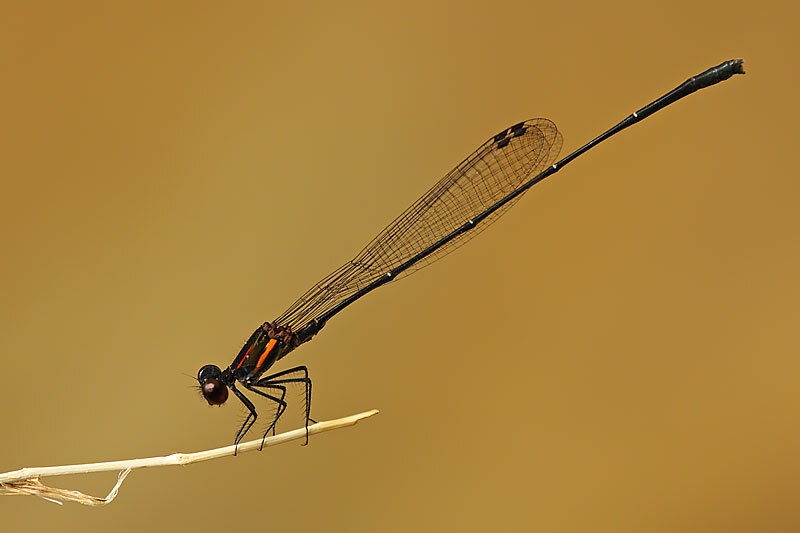 I went to Macrichite Reservior to search for this beautiful damselfly on 2 occasions but could not locate it. 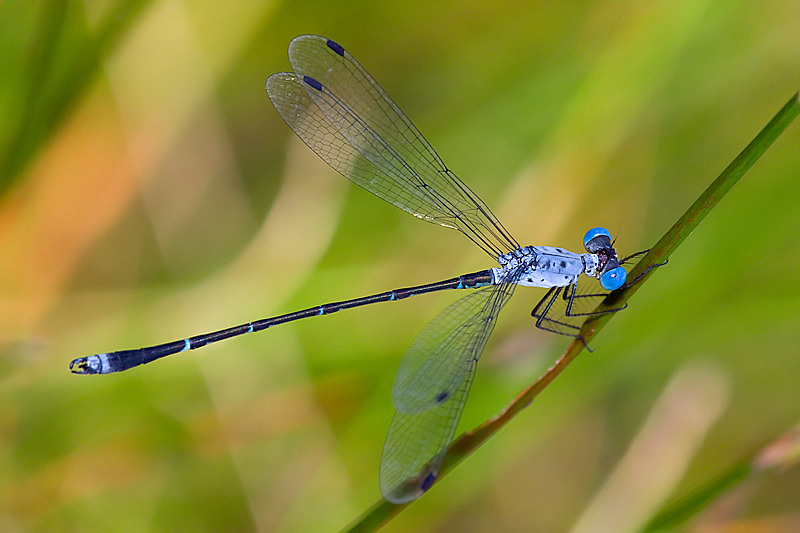 When Dairy Farm Nature Reserve Park was officially opened on 5 Sep 09, a picture of this mating damselfly was featured the next day in the Sunday Times. I went to Dairy Farm to try my luck and I was glad to have spotted a female perching just above the water at the Quarry. I could only take a record shot of it from a distance as we are not allowed to go down to the water. I hope it could perch in a better place during my next visit so that I could take an improvement shot. 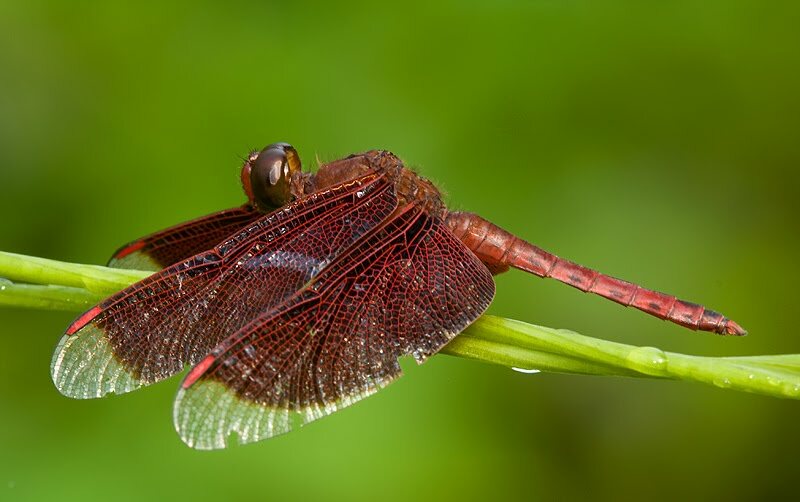 I read that this species has since been found in several other places such as Pulau Tekong Reservior, Upper Seletar Reservior, etc. My friend, Eddy Lee, had recently photographed one at Chestnut Avenue. 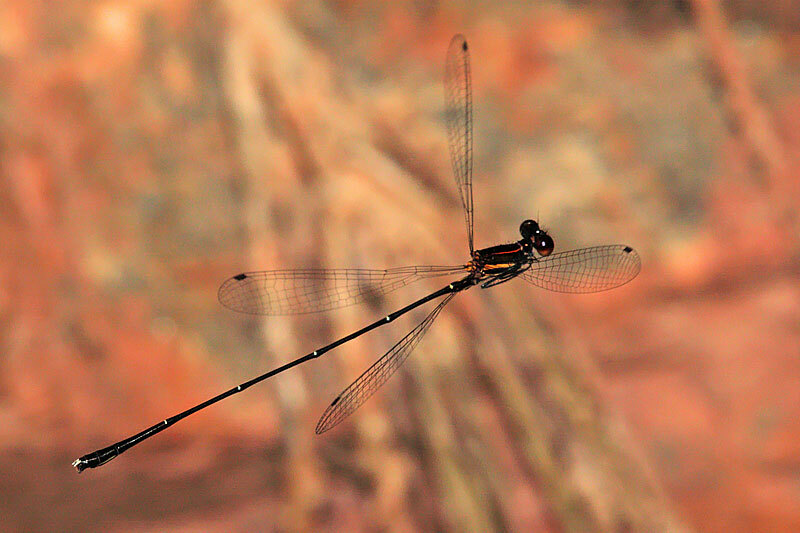 He told me the exact location where he found this species and I am happy to get a slightly improvement shot of it. 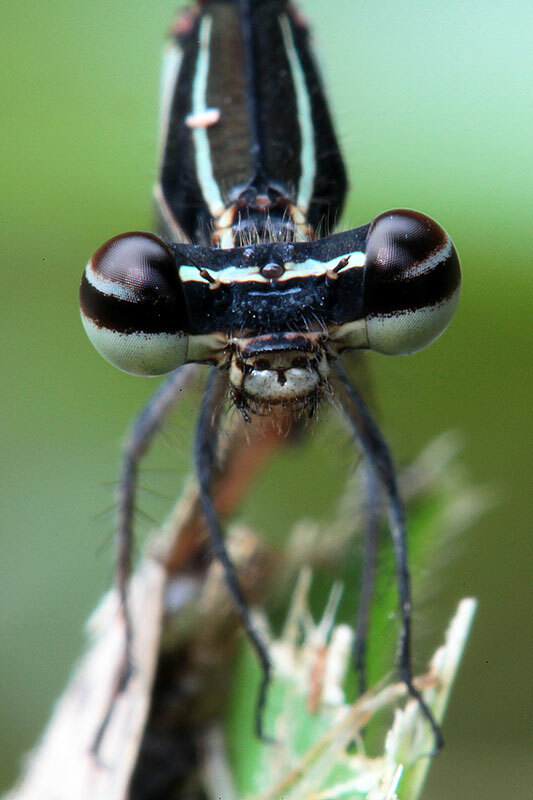 I saw this species photographed by a new found friend, Federick Ho, at Lornie Trail. He directed me on where to find this species. I went there on 14 Aug 2010 and there were about 8 nos. perching lowly along the edges of Macrichite Reservior. Got some shots but still plenty of rooms for improvement. 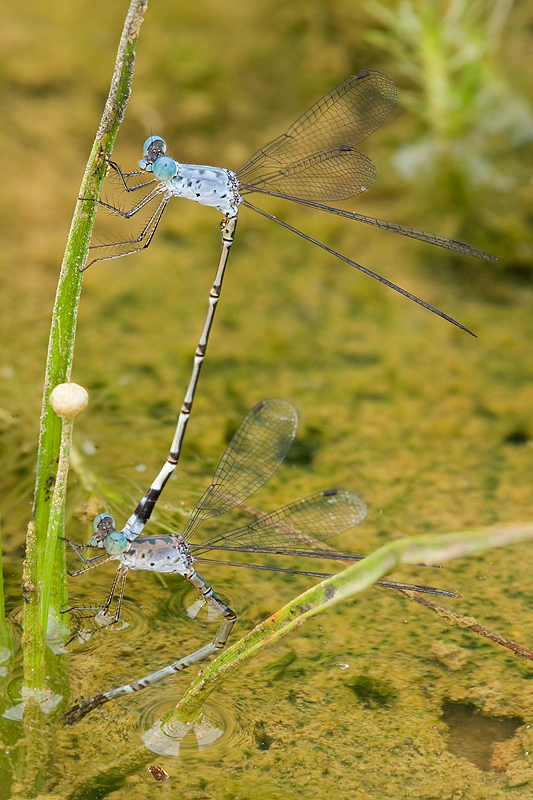 On 6 Sep 2010, I was happy to spot a mating pair where the female was laying its eggs into the water.